Jysk Fynske Medier needed a fast-paced way to see exactly what was being achieved, offering management clear insights and agents ownership of their work. Teleopti WFM was implemented in May 2017 to create these efficient, effective integrations so as to meet and measure the center's targets. 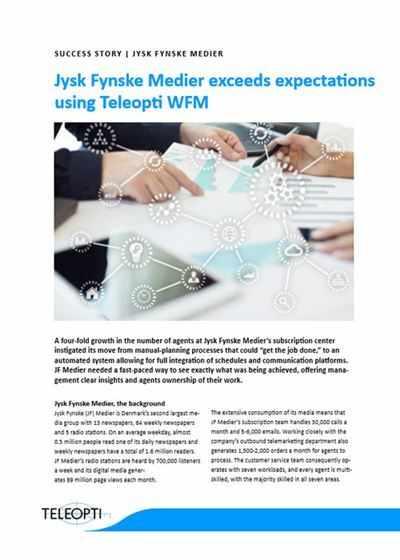 Read about the results JF Medier achieved by introducing Teleopti's WFM solution.